An artist’s interpretation of the sea floor after the mass extinction that wiped out the dinosaurs. 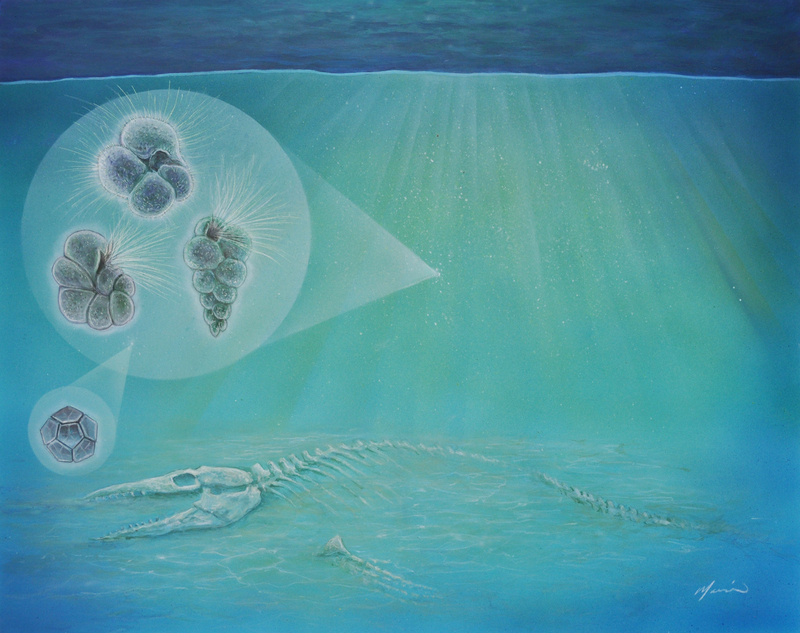 The three hair-covered forms (left) represent species of plankton that survived. The geometric form (bottom left) is a species of algae. The idea that evolution – specifically, how long it takes surviving species to evolve traits that help them fill open ecological niches or create new ones – could be behind the extinction recovery speed limit is a theory proposed 20 years ago. This study is the first to find evidence for it in the fossil record, the researchers said. The team tracked recovery over time using fossils from a type of plankton called foraminifera, or forams. The researchers compared foram diversity with their physical complexity. They found that total complexity recovered before the number of species – a finding that suggests that a certain level of ecological complexity is needed before diversification can take off. 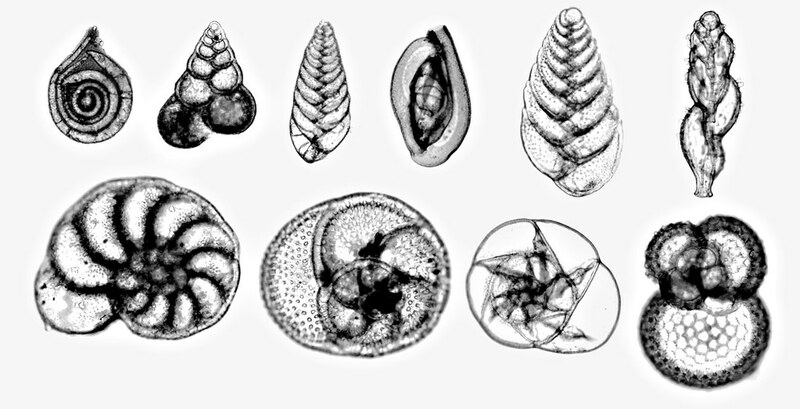 A photomicrograph showing 10 species of foraminifera, a type of plankton. In this paper led by The University of Texas at Austin, researchers examined foraminifera fossils and found a link between the rate of species recovery after an extinction event and evolution. The researchers were inspired to look into the link between recovery and evolution because of earlier research that found recovery took millions of years despite many areas being habitablesoon after Earth’s most recent mass extinction. This suggested a control factor other than the environment alone. “Before this study, people could have told you about the basic patterns in diversity and complexity, but they wouldn’t have been able to answer which one is leading or how they relate to one another,” she said. Citation: Morphospace expansion paces taxonomic diversification after end Cretaceous mass extinction.